Are your clothes Earth friendly? 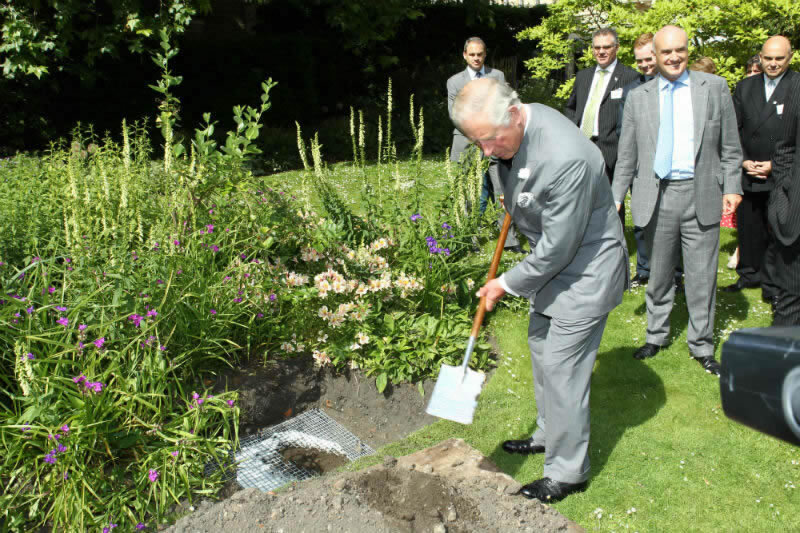 His Royal Highness The Prince of Wales, hosted a very special experiment, at Clarence House, to demonstrate just how quickly wool can biodegrade in soil. Two sweaters are buried side by side in a flowerbed, they look exactly same but there is one crucial difference. One is pure merino wool, the other a synthetic look-a-like . After four months look at the difference! 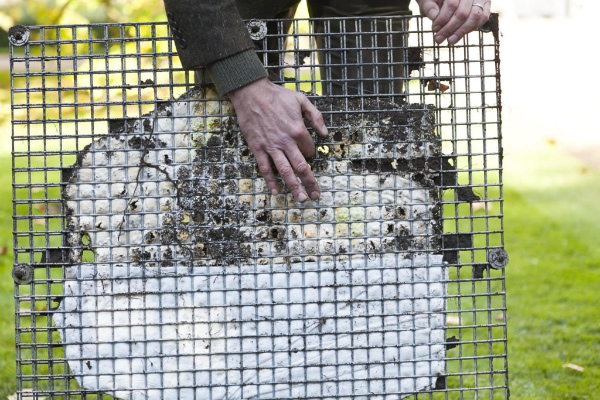 The merino wool sweater is on its way to complete decomposition and is held together by the wire frame, if the sweater had been left in the soil for much longer it would completely disintegrate. The synthetic sweater, is virtually un-touched by its time in the ground! Biodegradability is a key issue for all of us as our throw away society creates more and more landfill. In the UK alone, around 350,000 tonnes of used clothing and 370,000 tonnes of carpets go to landfill every year. The numbers are similar for other developed countries. Products made out of synthetic fibres can take 30 – 40 years to degrade, contributing to the ever-increasing piles of waste. Because wool naturally degrades in a fraction of that time, it is the obvious choice for anyone concerned about the health of our planet.